Dr Nikolaos Trakos MD, PhD, is specialized in Eyelid, Lacrimal and Orbital surgery. He was born in Athens and graduated from Medical School of University of Patras, Greece. He was elective student in Medical School of Cambridge, UK, and he started his research activities in Lund University, Sweden. He obtained the diploma of Advaned Trauma Life Support from the American College of Surgeons. He was specialized in Ophthalmology at the University Eye Clinic of Ioannina and he continued his second part of residency in England, at Maidstone Hospital. He completed three fellowship programs in Ophthalmic Plastic & Reconstructive Surgery in UK. His main Fellowship program was at Moorfields Eye Hospital, London. He continued as a Clinical Fellow in the Corneo-Plastic Unit of Queen Victoria Hospital, UK. He extended his training in centers of USA, such as Mayo Clinic and UCLA, Los Angeles and then worked in Private Centers in Palms Springs and Beverly Hills. His work in Eyelid, Lacrimal and Orbital diseases is equally oriented in reconstructive and aesthetic surgery. He returned in Greece in 2007 importing pioneered endoscopic techniques taking over as Head of Oculoplastic Department in various Medical Centers in Athens. 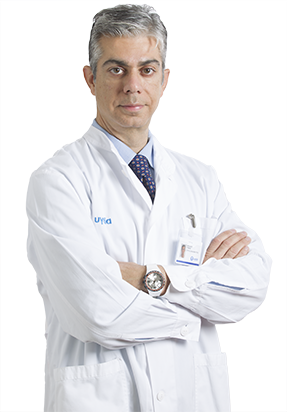 Currently Dr Nikolaos Trakos is the Head of Ophthalmic Plastic Surgery Department in “Hygeia Hospital” Athens, Greece. He organized an extensive clinico-laboratory research program in secondary cataract (Posterior Capsule Opacification in a rabbit model) obtaining his PhD in the Medical School University of Ioannina. In particular he operated long series of rabbits with the phacoemulsification –the most modern cataract surgery technique-, inserting intraocular implants. He then followed them-up and performed eye enucleations performing contemporary techniques of orbital surgery. Consequently secondary cataract was studied in different Intraocular lenses in this experimental rabbit model in pathology and microscopic level. This extended clinic-laboratory project was completed in the direction of evolving the quality of intraocular lenses. Due to this project he was inaugurated PhD in Medical School of Ioannina in 2010. “Periocular Rejuvenation With Fillers and BOTOX With 2-D Videos and Video-Assisted Teaching” Instructor in Course and Lab at AAO 2014, in conjunction with the European Society of Ophthalmology in Chicago, Illinois, October 18 – 21, 2014. “Current Techniques in Lacrimal Surgery” Trakos: Senior Instructor – Lecture in the Instruction Course of Oculoplastics of the American Academy of Ophthalmology Annual Congress, 24 October 2011 and 2012, Orlando, USA. “Management of Facial Nerve Palsy: Periocular Cosmesis and Dynamic Procredures”, Instructor – Lecture in the Instruction Course of Ouloplastics of the American Academy of Ophthalmology Annual Congress, 16-19 October 2010, Chicago, USA. “Powered Mechanical Endoscopic Dacryocystorhinostomy”. Lecture at the session Current techniques of Lacrimal Surgery in the context, Oculoplastics and Orbit APAO-AAO Joint Congress 2009, 24th Congress of the Asia-Pacific Academy of Ophthalmology, Bali Indonesia, May 16-19, 2009. Participation as a guest speaker in over 80 lectures, talks and presentations in conferences in Greece and abroad. Minimally invasive techniques such as Botox, Hyaluronic Fillers, Laser, radiofrequencies, Plasma and Mesotherapy are utilized to obtain an aesthetic oculofacial rejuvenation. Management of Dry Eye Syndrome, which is one of the most frequent eye diseases developing as red eye, is performed with the most advanced diagnostic & treatment modalities. translated in greek the book “Manual of Eyelid Systematic Surgery” third edition, by J.R.O. Collin, mentor of Dr Trakos, the first greek oculoplastic manual published in November 2012 in Greek language, Parizianos editions. Nonablative 4-MHz dual radiofrequency wand rejuvenation treatment for periorbital rhytides and midface laxity. Javate RM, Cruz RT Jr, Khan J, Trakos N, Gordon RE. Ophthal Plast Reconstr Surg. 2011 May-Jun; 27(3):180-5. “Findings of an experimental study in a rabbit model on posterior capsule opacification after implantation of hydrophobic acrylic and hydrophilic acrylic intraocular lenses.” Trakos N et al. Clin Ophthalmol. 2008 Dec; 2(4): 997-1005. This is the publication reguarding my PhD 5. Spectrum and frequency of ophthalmologic manifestations in patients with inflammatory bowel disease: A prospective single-center study. Inflamm Bowel Dis. 2008 Jul 14. Felekis T, Katsanos K, Kitsanou M, Trakos N, Theopistos V, Christodoulou D, Asproudis I, Tsianos EV.